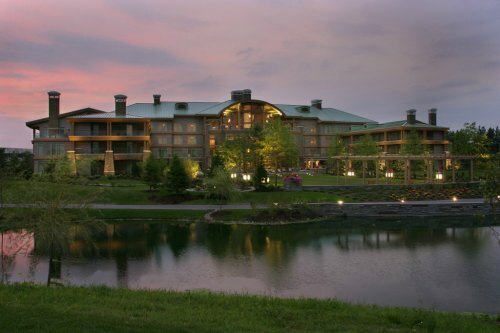 Recently, Diva 1 (Editor Cheryl Kates Benman) and myself (aka Diva 2) had the pleasure of being treated to an amazing weekend at Turning Stone Casino and Resort and Skana Spa in Verona, New York. 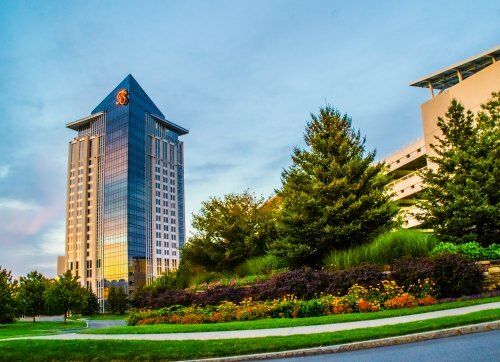 For those of you who don’t know Turning Stone, it covers over 3,400 acres and features four hotels, a world renowned spa, 20 dining establishments, golfing, tennis, hiking trails and a 125,000 square foot gaming area. This is the only resort located in the North East to earn three AAA Four- Diamond Award venues on one property! Of course the diva’s had to start their trip by stopping at Destiny USA on the way to pick up a few things to wear for our weekend out on the town. When we arrived, we were greated by the most amazing valet attendants. They treated us like we were celebrities walking the red carpet. We checked in at the lodge and were taken aback by the incredible view of the golf course in back. Modeled after an Adirondack-style luxury hotel, the suites provide an exceptional living environment as you enjoy your stay here. The property is prized after winning some of the most prestigious awards available such as Forbes Four Star Award, Conde Nast Johanansen’s Award for best countryside lodge and AAA Four Diamond Award. As an ultimate special service, the Lodge also offers a traditional English tea service and is equipped with a state-of-the-art fitness center. There is a fitness trail and golf course available as well. The pool area is beautiful, complete with design resembling an outdoor wood-like atmosphere. The relaxing sounds of the waterfall are soothing to your ears. The second floor has a walkway that goes directly to the gaming area/event area. Of course we walked this numerous times on our stay! 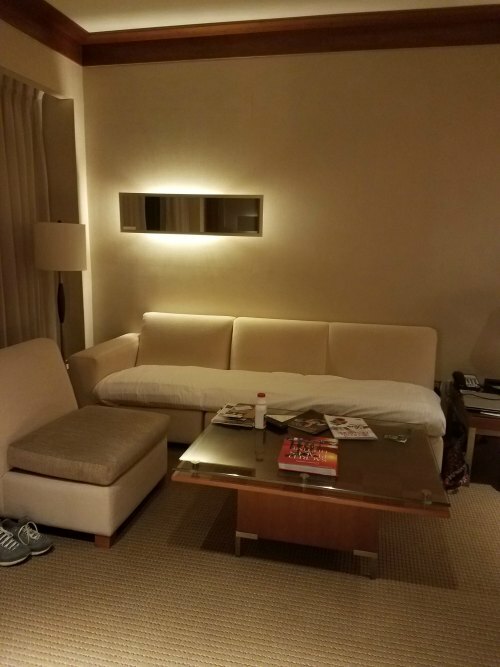 After checking in, we were escorted to our King sized suite, equipped with everything we could think of for a relaxing, full-filled weekend adventure. From the balcony overlooking the resort (which we decided not to utilize during our stay since the winds were about 70mph), to a whirpool jacuzzi bath and double headed shower, mini bar and refridgerator, to even a desk for us to work on, we were all set to enjoy every minute of our stay. We quickly unpacked and changed and headed over to the TS Steakhouse bar and restaurant. Nestled away in the top floor of the tower is a beautiful sophisticated restaurant where you can enjoy the finer things in life. 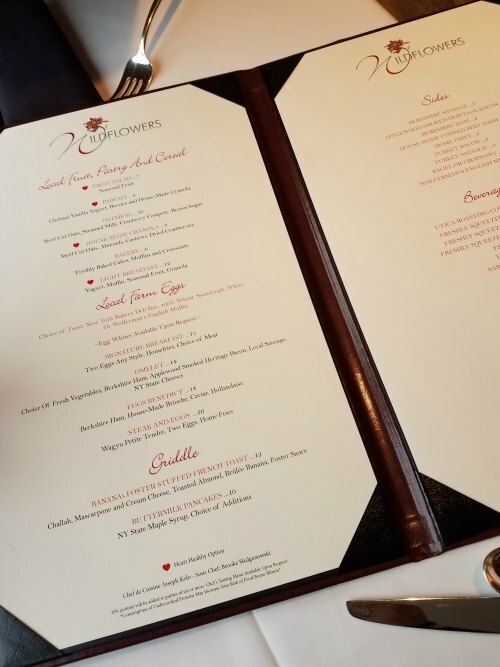 Menu items include classic cuts, chops and designer cocktails. A beautiful panoramic view can be enjoyed in the penthouse bar. For those who indulge there is even a cigar lounge. 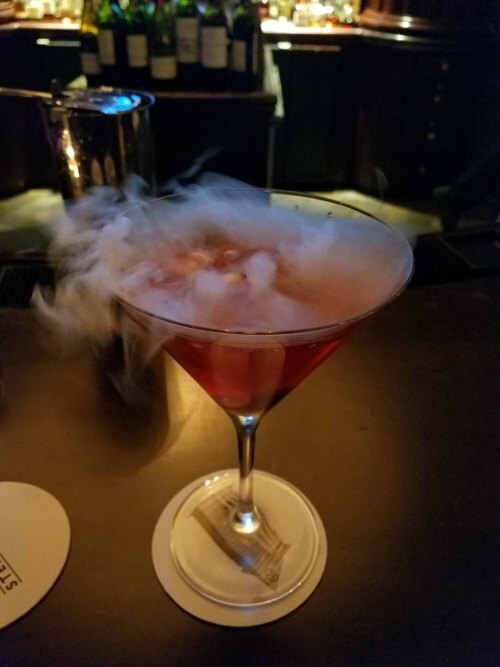 Anthony, or bartender decided to make us one of their specials and had a little fun with us newbies by mixing up a “Smokin Pomegranate Martini” and letting us video tape his mixing skills. I think the cherry in the bottom was the best part! Now, on to our dinner…This restaurant was awarded the title of being one of the top 100 romantic restaurants in America (Diner’s Choice 2016) and Casino Player awarded the title of the best romantic restaurant award. Not so romantic for the diva’s, but talk about amazing food and service! Every detail from start to finish was paid attention to for the ultimate dining experience. 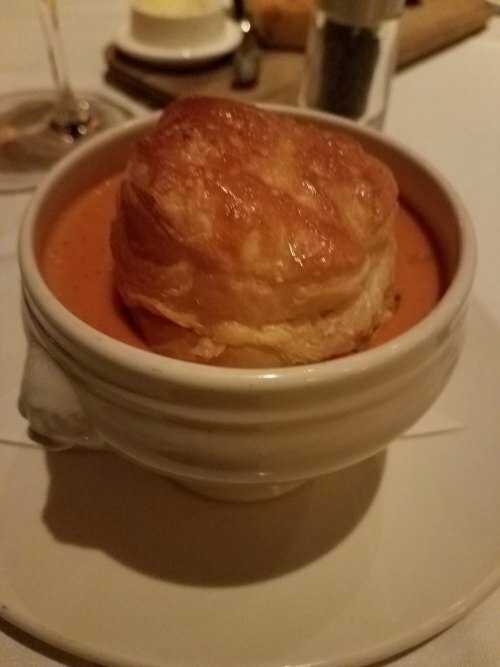 From our bread with a sugary butter spread, to our seaford bisque soup, we just couldn’t stop eating. Then it was on to the main course. Where were we going to find the room? 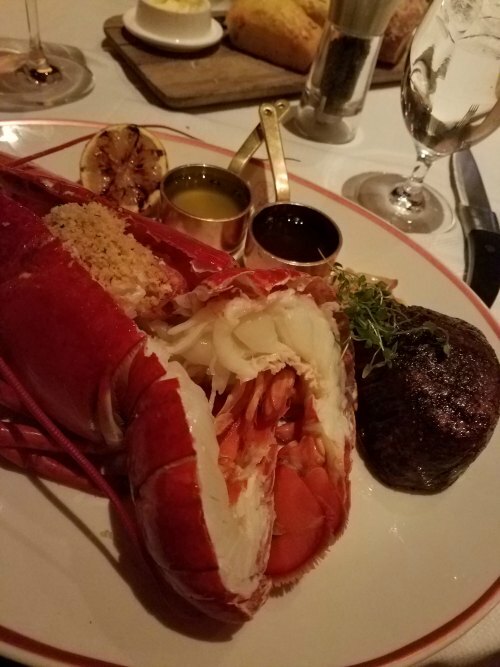 While Diva 1 ordered the lamb that was cooked to perfection, I ordered the lobster Surf and Turf which included a 2.5lb lobster and mouth watering filet. And of course we had to order dessert! Needless to say, we had some leftovers to go back to the suite before going downstairs to do a little gambling. Diva 1 is the gambler…me I’m just a casino virgin. But, we decided to enjoy the over 80 gaming tables and 2,000 gaming machines throughout the 125,000 square foot casino. I loved watching all of the people, and Diva 1 trying to explain to me how the tables worked. I will admit, it was way over my head. I started out slowly, with Diva 1’s advice on the penny slots. Ok, I will admit I started to get a little jealous when she started hitting bonus’s one after another, and my twenty dollars seemed to disappear in two spins. But, no worries, because we were about to win some money! The Ellen Degeneris machine was where I won. Second press of the button and I was $50 richer. Of course Diva 1 had to one up me and won $225 that night…show-off! Before returning to our suite with our winnings, we made a quick stop for some shopping at the Swarovski Crystal outlet. Thank you Diva 1 for my amazing drop earrings. 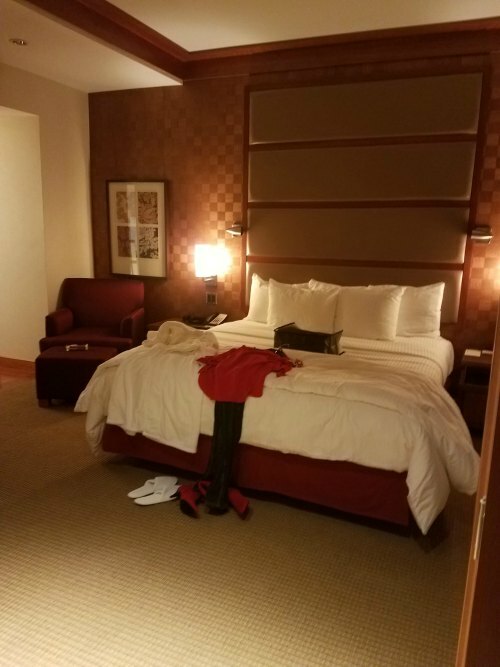 By the time we got back to the suite a little after midnight, I was so exhausted from the days fun and I passed out on the couch. We had a jam packed day ahead of us on Saturday, so we needed to get our beauty rest. 8am came quickly for our massage appointment at Skana Spa. Using a combination of Native American traditions and modern treatments, the spa is designed to be the ultimate relaxing experience. Ranked third in the nation, a variety of services are offered including massage, body treatments, balancing remedies and facials. Both of us were treated to the ultimate 50min massage, and I have to say it was like no other! Diva 1 experienced the add on service of a paraffin foot treatment designed to provide hydration as an add on to the massage. The combination of the music, soft lighting and the scents from the aromatherapy oils used provided a relaxing and serene environment. 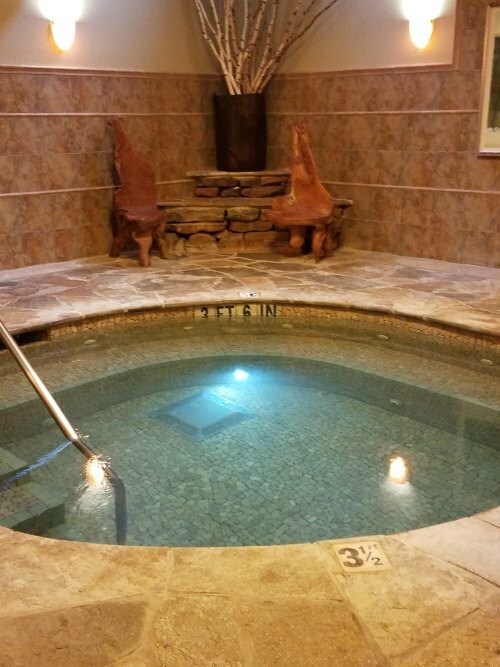 Then of course our spa day wouldn’t have been complete without the Divas experiencing the Oneida balancing waters ritual designed to increase circulation, detoxify the body, release muscle tension and relaxation/balance. 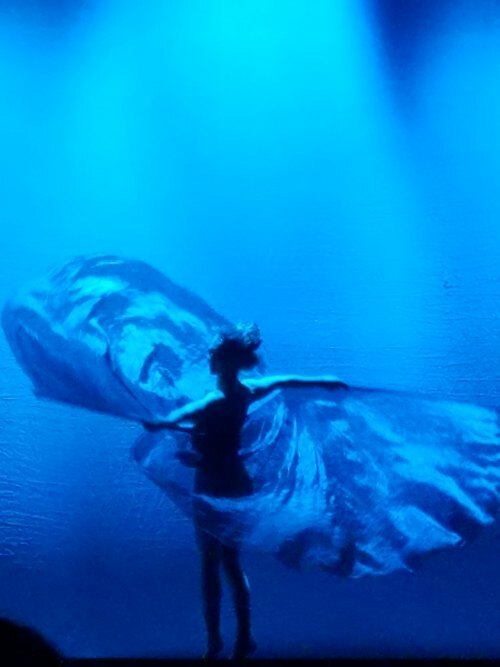 Water is considered a life force by the Oneida people following the traditions of living in harmony with nature. It was a 50 minute ritual combining alternate exposure to heat and cool. Beginning in the steam room, toxins are removed through perspiration. 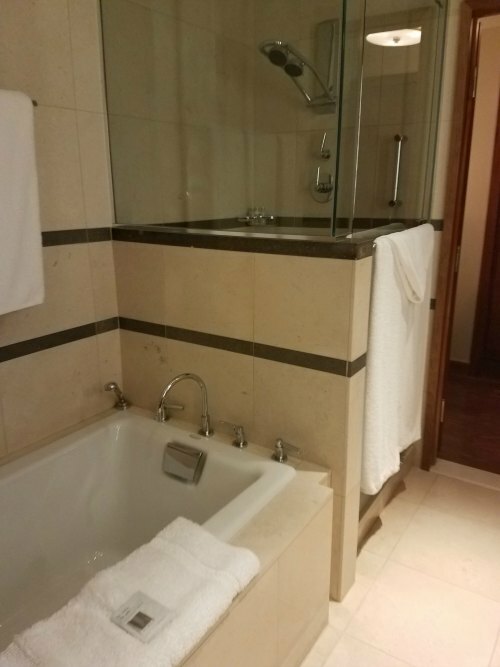 The warming effects also enhance circulation and relaxation. Following steam, the body was cooled by entering the mineral pool set at 85 degrees. The change in temperature continues to foster circulation. Then the sauna turns the heat back up reducing muscle tensions, assisting respiratory congestion and soothes the nervous system. 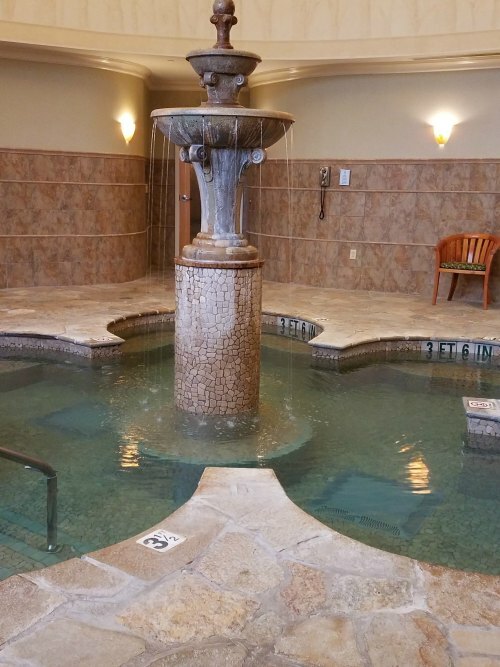 Again, the mineral pool is used to cool off where the whirlpool circulation provides restoration and healing entities. Lastly, a dip in the hot tub let the divas totally relax and soothed any pains they experienced from the two hour ride the day before. Ahhhhhhh….heaven. After all that spa relaxing we were starving, so on to the Wildflowers Restaurant for some breakfast. 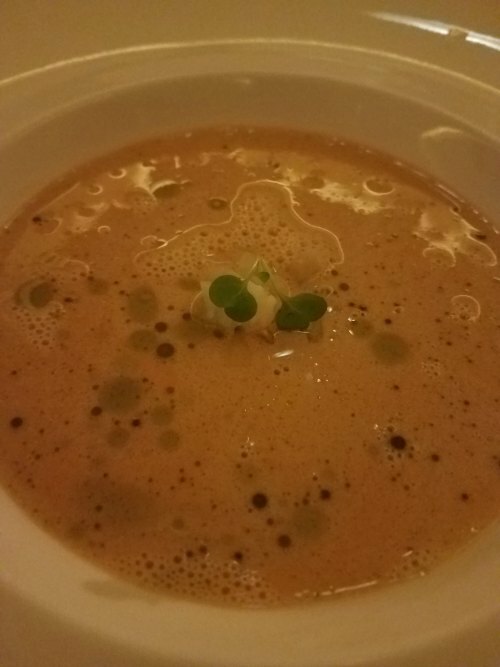 Located within the Lodge property where we stayed, is a dainty, but sophisticated restaurant which claims the honor of being one of the top-rated restaurants in NY. 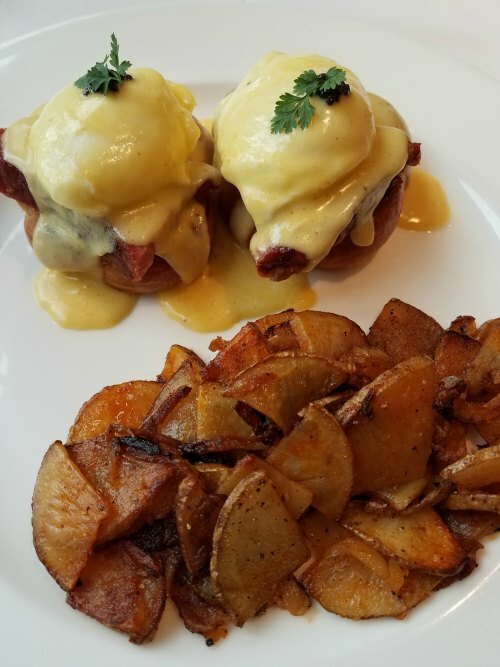 I indulged in eggs benedict (with caviar on top, of course) and homefries, while Diva 1 opted for the fresh yogurt parfait and homemade corn beef hash. I ate every mouth watering morsel. Next in our adventure was some more gaming before eating, yet again…This time, the Upstate Tavern was our lunch venue of choice. 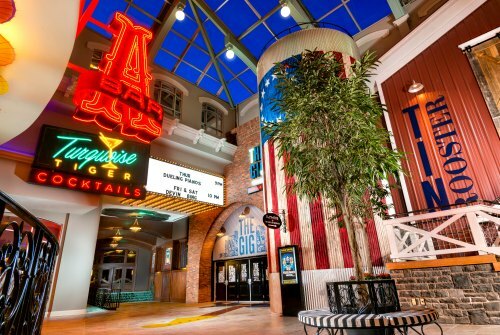 Located just up the escalator and to the left of the gaming area, you’ll find a diverse menu everyone will love with soups, salads, appetizers and specialty food from across the state of New York. The décor follows the theme and we were told by our concierge many of the items in the tavern were actually refurbished from places across the state. Delicacies such as spiedie rods (Binghamton); Shrimp Riggies (Utica) and Western NY’s shaved beef on weck are found on the menu. The bathroom features a map of the state. We both had leftovers from that meal! I twisted Diva 1’s arm and we went back for a little more gaming before we had to return to or room to do a little work. After all, that is what we were there for. This time Diva 1 got me on one of the card tables. I won $9. YEAH! So after doing a little work, which I will say I was not happy at all about doing, we had to get dressed for our next round of adventures. Starting with dinner, yes another scrumptous meal, at Wildflowers. The wait staff in every location was truly amazing, but this gentleman really went the extra mile for us. We decided to start with a cocktail. I went with a mojito (which I had never had before), while Diva 1 ordered a super delicious pumkin milky drink that tasted like a little piece of punpkin heaven in a glass. Next were our appetizers and soup. Fresh chesses, honeycombs, plus spread and andied pecans over this crsuted bread followed by a lobster bique that they hand poured into our bowls. What more could we ask for? Well, then the main course came out of aged steak with a creamy blue cheese dipping sauce and scallops too. I truly was in heaven with all of this food. But, dessert would have to be bagged up and taken to our suite for snacking later because we were both so full we almost needed to be carried out on a stretcher. We had to run to our next destination over at the performing arts center. 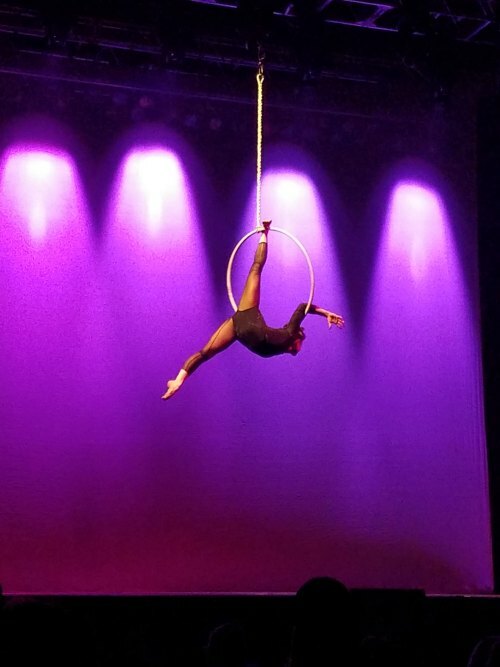 Pulse by Quixotic was performing and we didn’t want to miss this amazing show. This show was phenomenal combining the use of beat-driven music including drums and a violin. 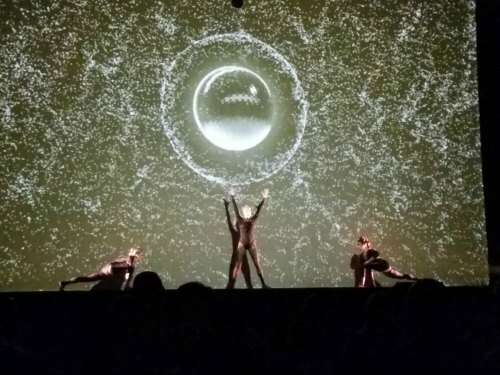 The projection mapping produced an amazing visual experience behind the cirque artists and dancers as they showcased their unique and tantalizing movements on the floor and while soaring through the air. We were lucky in that we were allowed to take video and photos, so be sure to enjoy our experience by watching every exciting movement of what we watched! The amazing acobats of Pulse was followed by Turning Stone’s very own SnowFest. 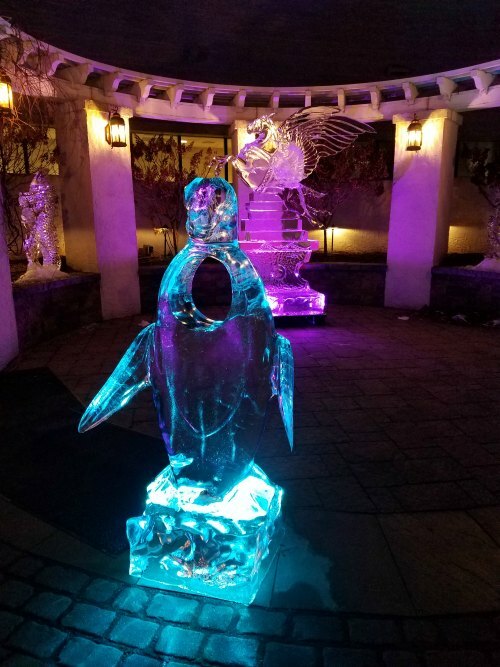 Part of the Snofest included an amazing ice carving demonstration performed by one of the sculptors being featured; Wei Sen Liang. He carved a sailboat right before our eyes. The display in the courtyard included a full-sized motorcycle, pool table, dragon, a knight etc. The bar was even made of 18-feet of carved ice. Additional sculptors for this fest included Aaron Costic and Stan Kolonko. Part of the admission fee included a a black fur coat which was definately needed that evening the frigid air in the courtyard. 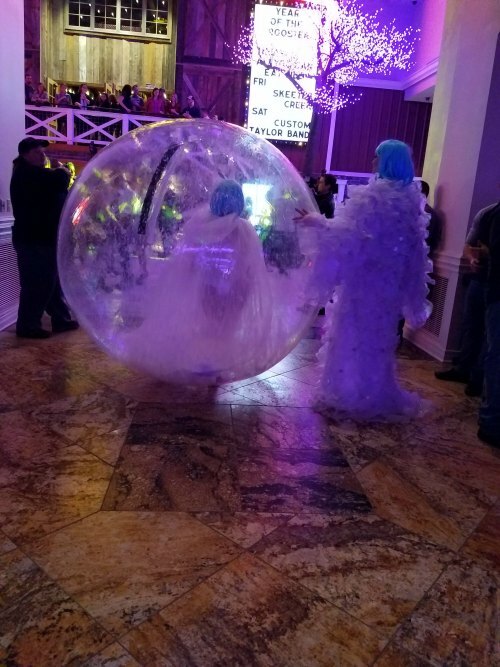 The Frosty Prize Patrol was quite a scene as every hour they paraded through the gaming floor offering a lucky guest a chance to win 500.00. Additionally, the guests actively playing around the winner were also given a 50.00 credit. Drink specials included: a Snoshake, a Jack Frost cocktail, a smoking Cosmo and Moet Ice, with prices ranging from $ 5.00- $ 9.00. Of course we had to try some of these treats while we were there as well. 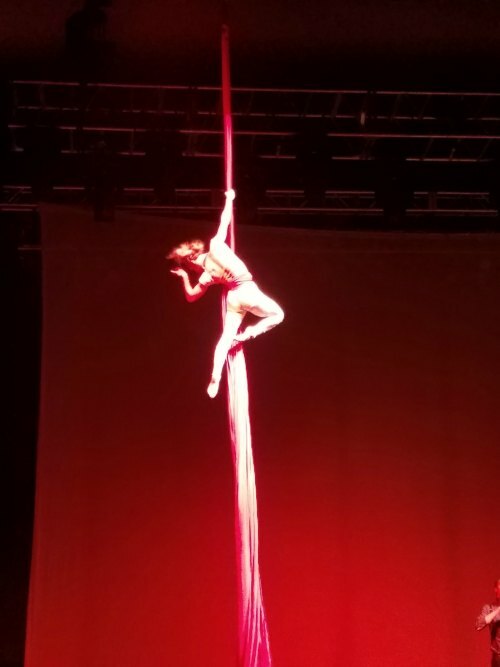 The nightclubs at Turning Stone have something for everyone, including the Divas. All genres of music can be enjoyed at the variety of clubs available (rock, pop, country, blues, jazz and comedy. 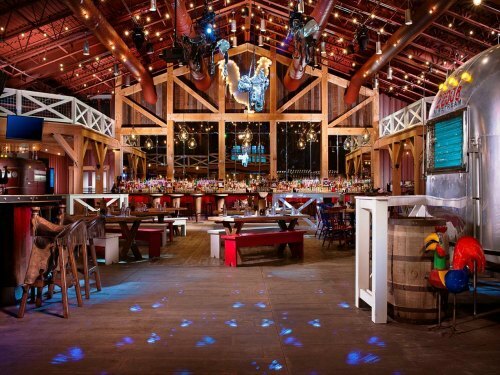 Exit 33, contains 5 venues where you can listen to rock, country, electronic dance music and more. 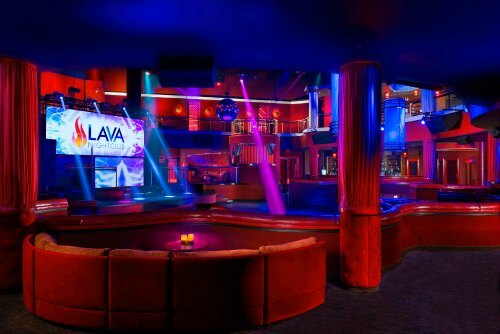 Lava is the pulsating dance club with VIP areas and private cabanas on the patio. The Gig is where you go to experience a neighborhood rock and roll joint. The Turquoise Tiger is more on the sophisticated side set in a 1940’s with live acts. The Tin Rooster serves traditional BBQ during the day and at night grab a beer, and partake in some country line-dancing. The Atrium Bar offers an ultra-lounge where you may enjoy a hand-rolled sushi while enjoying a full bar. Of course we did go back for some gaming too before retiring back to our amazing suite. When we woke up Sunday morning, we were both disappointed that our weekend had to come to an end. It was truly an amazing experience. One we will not soon forget, and highly recommend to all of our readers. There is truly something for everyone there, and can I just say again that the food was to die for! Our stay wouldnt be complete without hitting the slots before going back to Rochester…and of course winning a few extra dollars so we could stop on the way home at the Outlet Mall. Thank you Diva 1 for sharing your winnings with me for the best birthday ever! In closing of the Diva’s Report, we want to say we give this experience a 20 on a scale of 1-10. 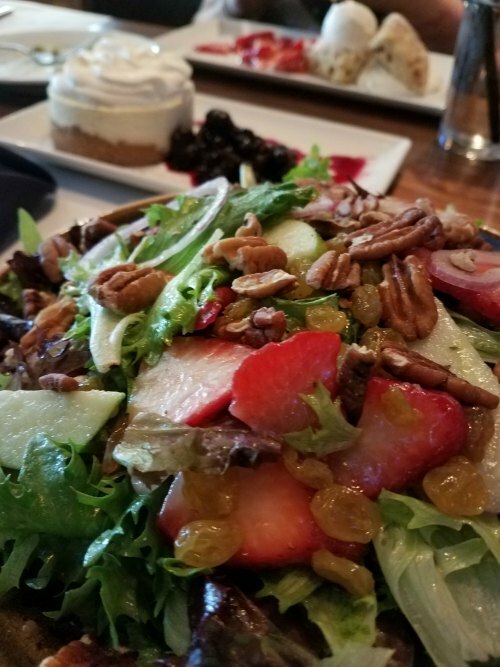 Make sure to contact them today and go enjoy everything that Turning Stone has to offer, and mention you read about it in Rochester Woman Online. Gentlemen, if you are reading this, it is Valentines Day coming up. It is the perfect gift for your ladies.